Plough Library subscribes to two excellent streaming video databases: Films on Demand and VAST Academic Video Online. We also offer links to some free online video sites like the Moving Image Archive. Click on the Articles & Databases tab. Use the Databases by Subject dropdown to scroll down to Online Videos. Click on Online Videos to get to this page, which lists our streaming video databases, along with recommended free video sites. 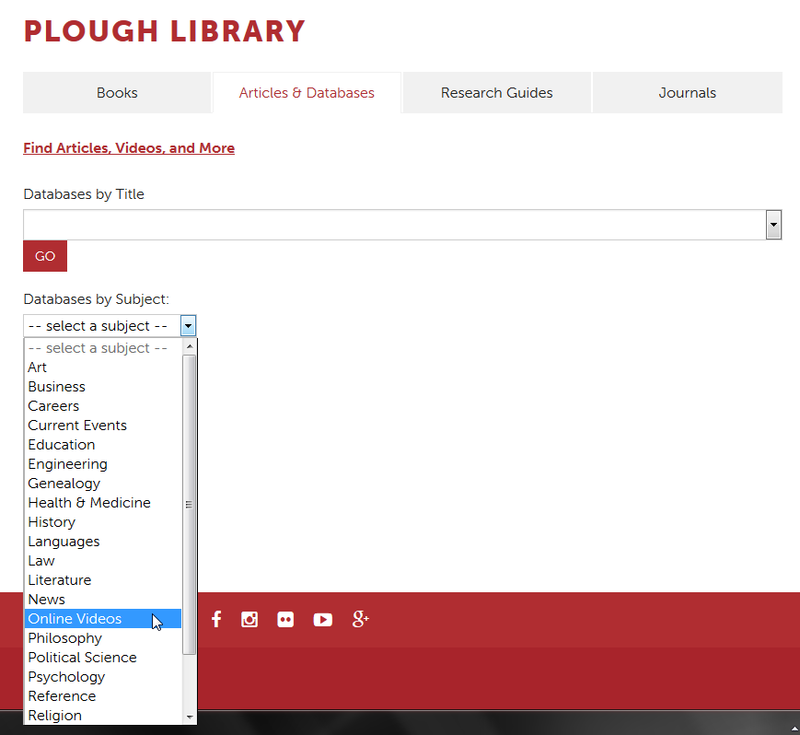 You can also use the Databases by Title dropdown to select Films on Demand or VAST Academic Video Online from the list. 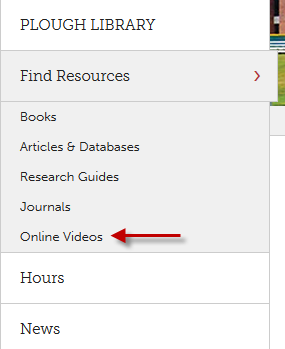 Look for Find Resources on the left-side menu.Click on that to get direct links to Books, Articles & Databases, Research Guides, Journals, and Online Videos.